Hey hey lovelies and foodies. Hope you guys are doing great as June is not far away from us (but it's not near with us anyway =3=''). 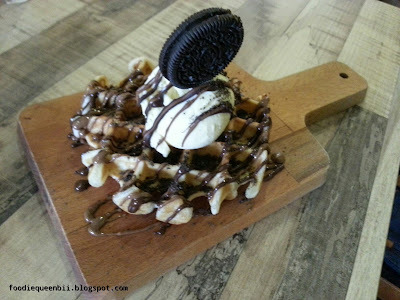 To be honest, for my personal review, the taste of these waffles is awesome as it's not really soggy when the sauce on the waffle is more than few minutes yo (as me and my blogger friend is busy taking picture of the foods ma ^0^). look good !! wanna give a try too! nice waffle and i am loving it! The environment also great here. A lot of places make waffles but not many do it well. It sounds great to hear that this texture is good and delicious yummy. I look forward to trying it when I head north to KL next time. The Oreo crush looks really good! might try it some day! Thanks for sharing! 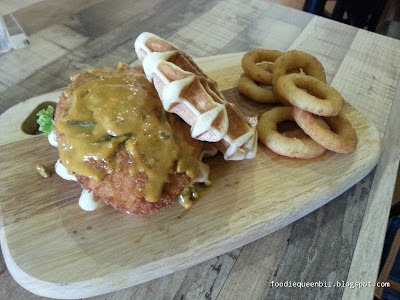 I've not heard, seen or even eaten this burger-waffle combo before. It looks so messy but I am game to give it a try. 😁 love is around, so do food is around... 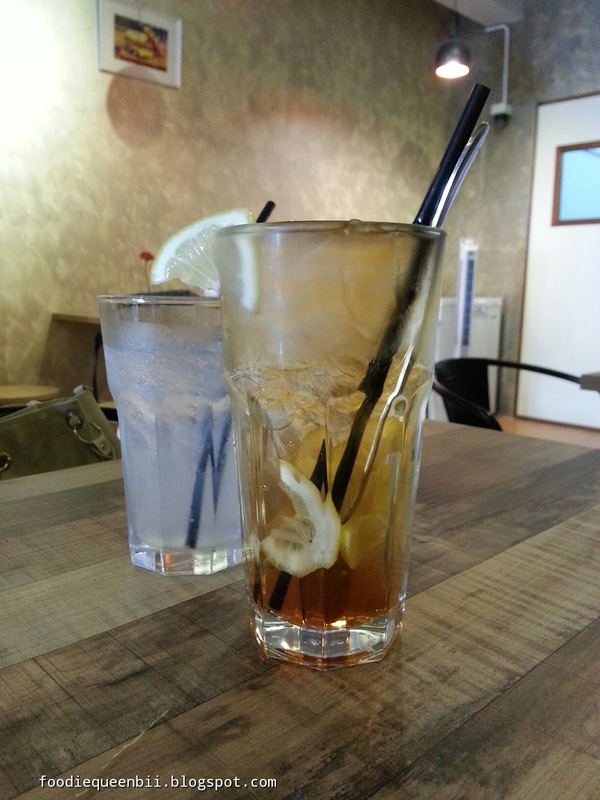 Thanks for your compliment as well..
the orea crush looks so amazing!!! will try it out!! Oh My! Looks delicious and is massive which is a plus. RM13 for ice lemon tea alamak..ice cream looks inviting! I can eat waffles anytime of the day! These waffles too look completely delish. 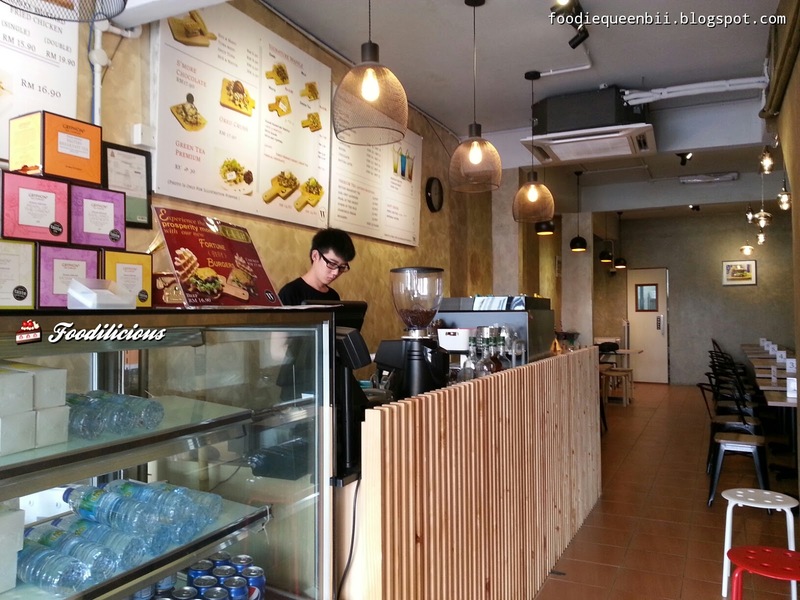 The waffle looks yummy~ will pay a visit someday. Waffles burger sounds yummy and totally a new innovative idea. Oh my the ores crush is something I can't resist. New place to rxplore in Seapark. I love crispy waffle. Will give a try for this. Ah, this place i heard for sometime but haven go try out yet, thanks for sharing.